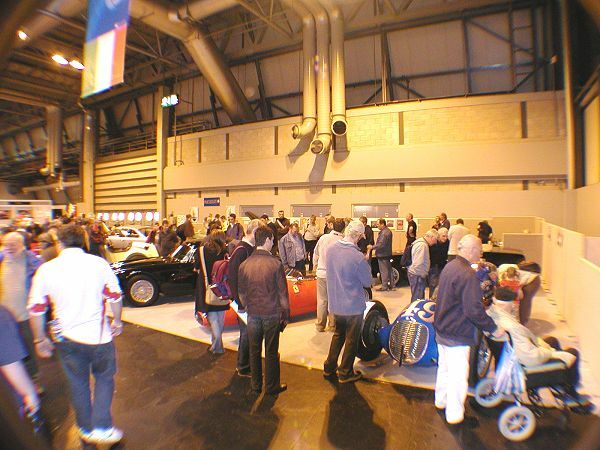 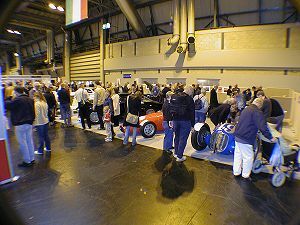 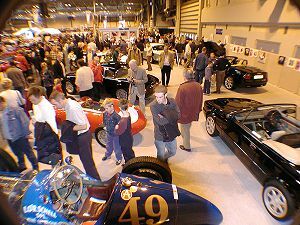 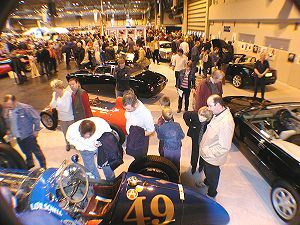 Crowds flock to the Maserati Club (UK) stand at the International Classic Car Show 2003. 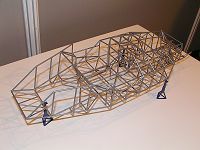 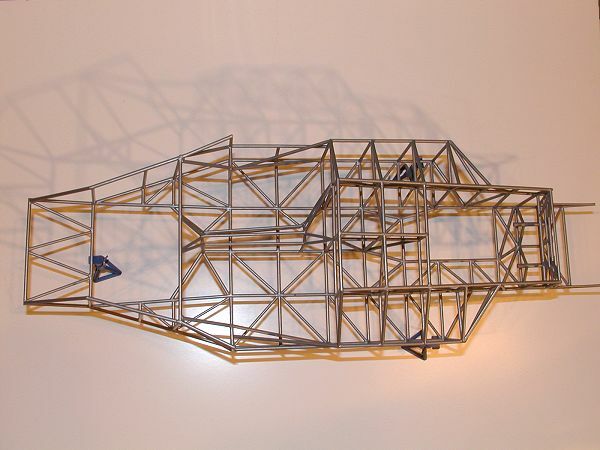 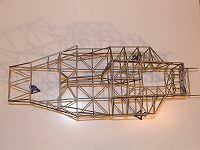 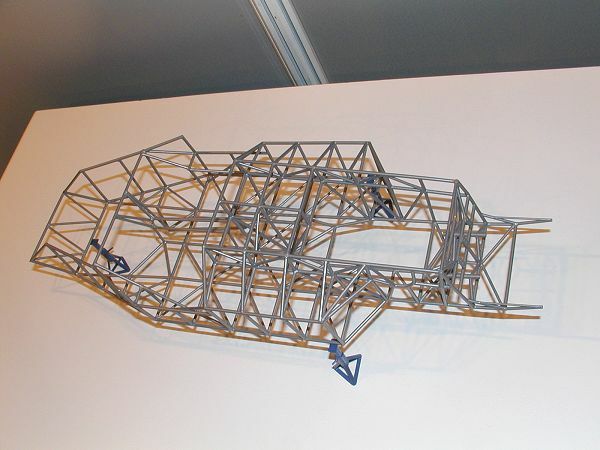 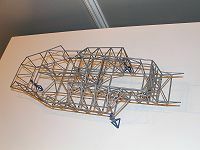 A 1:8 model of a Tipo 61 'Birdcage' in the making! 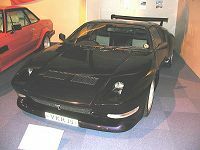 The De Tomaso Pantera was first made available to the public in 1971, and continued in production through a succession of updates until 1990. The GTS, with wider wheels and slightly flared wheel arches became available in 1974. 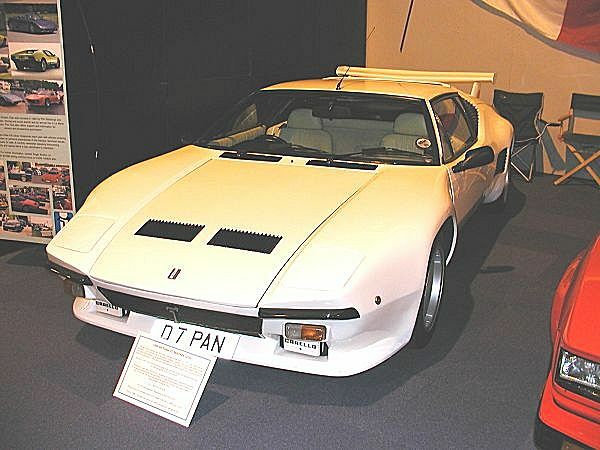 The GT5 with riveted, wide wheel arches first appeared in 1983, and was a development of the Group 4 and 5 racing versions. 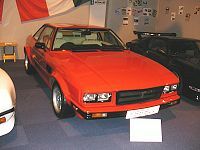 The De Tomaso Longchamp first appeared at the Turin Motor Show in 1972, and as with the Pantera and Deauville, was dessigned by Tom Tjaarda at Ghia. 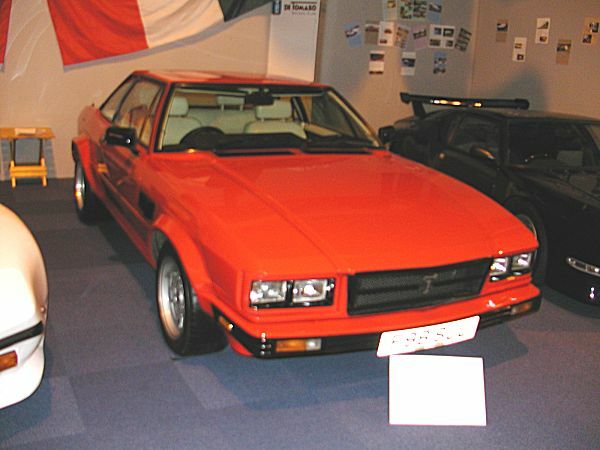 The GTS version became available in 1980 fitted with wider wheels and flared wheel arches. 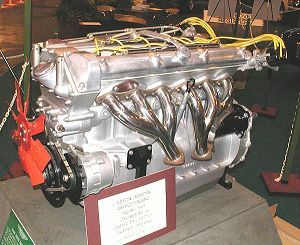 The first development of Tadek Marek's DB4 engine appeared in 1959 and was used in 75 cars built up to 1963. 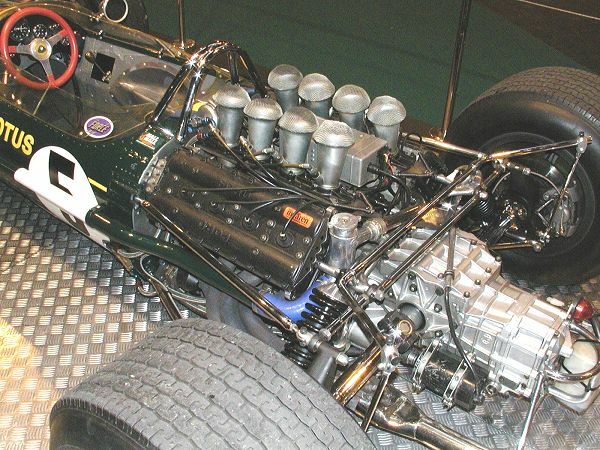 This engine is a much later modification of a 4-litre 'C' type Vantage, built to special order. 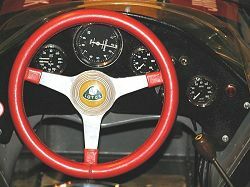 Lotus 49 (R4) powered by Ford Cosworth DVF Engine. 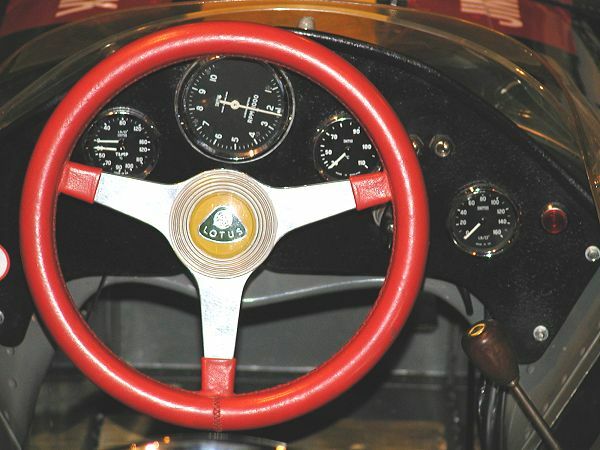 Built 1968 (Lotus design originates from 1967). 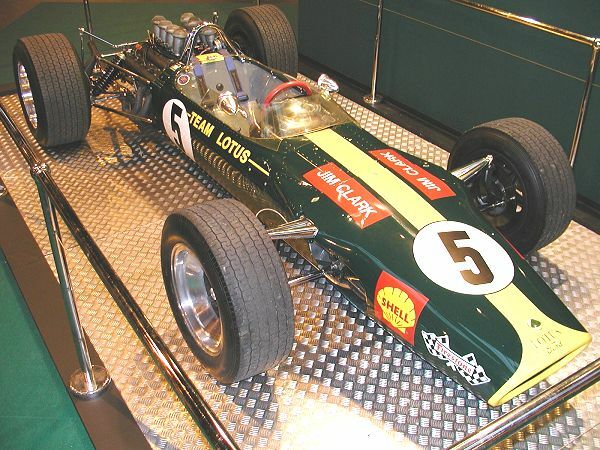 The Lotus 49 was designed by the legendary Colin Chapman to accomodate the all conquering Ford Cosworth DFV engine which was to power many F1 cars for more than 16 years in Grand Prix racing. 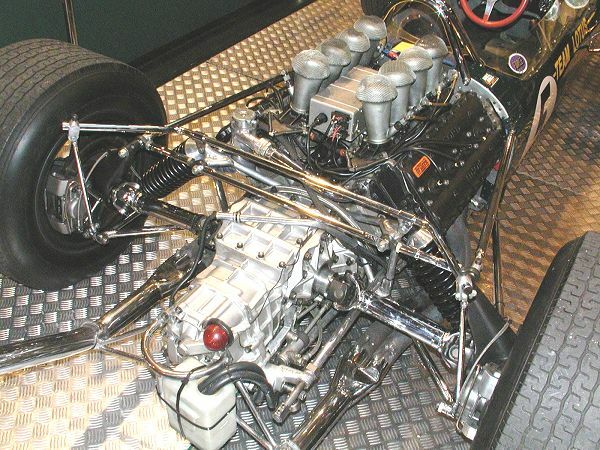 The Lotus 49 was designed as a monocoque chassis which used the DFV engine as a stresed member from which to mount the rear suspension. The car made its racing debut in the 1967 Dutch GP at Zanvoort, a race in which team leader Jim Clark took his first GP win.